Accommodation: Hotel Sweet Home Manali is a very popular 2 star hotel which is thoughtfully positioned at a very close proximity to the hill station’s Circuit House. It is also very closely located to the Manali’s famous Tourist Information Centre at about 100 mts away plus its enthralling vicinity takes no minute in hypnotizing you completely. 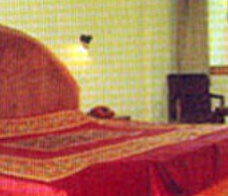 Each room of this hotel is done-up with wall to wall carpet and is well-appointed with latest furnishings. Moreover, the newest room facilities like attached bathrooms with latest toiletries, hot/cold running shower, laundry, CCTV with satellite programs, telephone intercom facility, campfire at night, room service, shaving mirrors, bathrobes, alarm clock service, etc. Dining Facilities: The low budget 2 star hotel of Manali, Hotel Sweet Home Manali offers an assortment of luscious cuisines for instance Indian, Chinese, Continental Gujarati and South Indian dishes. These gastronomy delights are not only finger-licking but are also nutritious. Business Facilities: Round the clock help of travel department of this Manali hotel plus the most modern business equipments will surely help the corporate travelers to let their business deal take place in a winning manner. Recreational Facilities: Hotel Sweet Home Manali has staggering recreational facilities in form of white water rafting in River Beas, Para-Gliding, Bar service, Trek-n-Tours, Bonfire, Nature walk, Jogging Track, Ayurveda, Shopping Pergola, Souvenir shop, etc. Other Facilities: Taxis and guides for sightseeing, railway and air bookings, spacious parking, doctor on call, safety vault, fireguard, power backup, railway/airport transfers, wheelchair for the disabled, child care facility, etc.